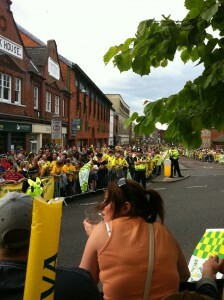 Home - Congratulations Norwich City! I know this blog is a bit late, but better late than never! Maybe I spent too much time celebrating it? Anyway, Congratulations Paul Lambert and the whole squad on a fantastic season and what a season it has been! I was a bit concerned after the first game of the season against Watford. We didn’t look that strong, we conceded some sloppy goals, but we still had that spirit to get a couple of goals back. However, we pulled ourselves together and look where we are now! Paul Lambert has done wonders at Norwich, and it nearly went down to the wire, but thanks to Cardiff’s slip up against Middlesborough and a solitary goal from Simeon Jackson against Portsmouth sealed our promotion to the Premier League! 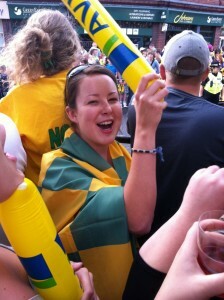 The grin on my face after the nail biting end to that game was from ear to ear. Norwich celebrated in style again with a parade through our fine city, thousands of people lined the streets to congratulate the team that has worked so hard this season to achieve Premier league status, and giving the players a chance to thank us the fans for the support. They have always known we will be behind them through thick and thin with the “On the ball City” song! 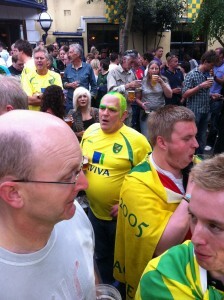 The big question now is can Norwich City FC battle hard next season to stay in the Premiership? I think we need a few extra players, a bit of experience and with the fine coaching of Paul Lambert we could well establish ourselves in the top tier! Also a quick congratulations to Russell Martin for his call-up into the Scotland national squad, all the hard work this season has obviously payed off! 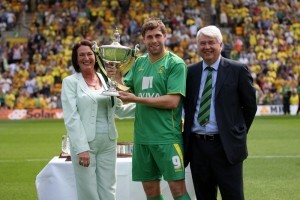 Anglian Home Improvements supporting Norwich City FC throughout the 2010/2011 season. Visit the Anglian website for information on our double glazed windows.